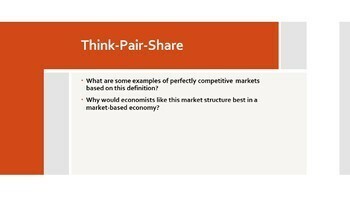 4 Market Structures Economics Lesson! 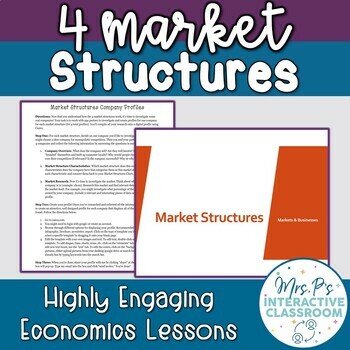 Looking for a fresh way to teach the 4 market structures? Want your students to be engaged in researching relevant, current markets? 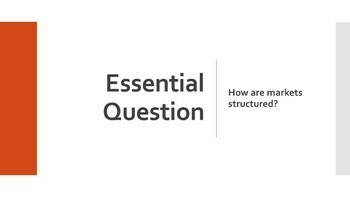 This engaging lesson is for you! By the end of this lesson your students will not only understand the concepts, but they’ll be able to point to real examples as they create a beautifully designed profile on 4 companies. 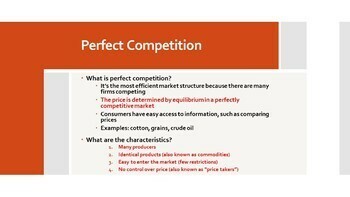 The lesson begins with a warm up to draw on students’ prior knowledge of markets. Then they’ll engage with a 15 to 20-minute lecture where there are critical thinking opportunities and think-pair-shares throughout. Along with lecture notes, I've included a worksheet where students can consolidate their knowledge into an easy-to-read chart on the 4 market types after the lecture. Finally, students will work with partners to create profiles on 4 companies (one for each market type) after they research the company, why it fits into the market structure they’ve chosen, and discover some data and/or statistics about that particular market. They will display all their newfound knowledge onto an easy-to-use, free graphic design platform called Canva. More on Canva in the classroom here. This lesson usually takes at least 90 minutes (one block period or two shorter periods).